Coto de Caza, a community founded more than forty years ago, offers a unique recreational lifestyle set within a country environment. 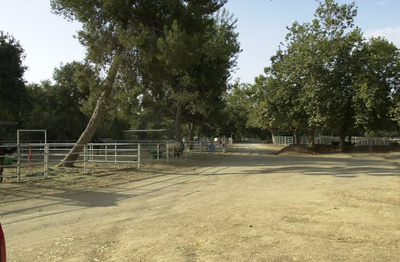 The Equestrian Center, once used for the 1984 Olympic Equestrian events, is now used as boarding and training for approximately 300 horses, barns, seven arenas and home to the Orange County Polo Club. The Center has access to over 20 miles of dedicated riding trails, and miles of open space trails, making it really desirable for those looking for Coto de Caza Horse Properties. Search all of the Coto de Caza Horse Properties Homes currently listed for sale in the MLS, including those listed as short sales, foreclosures and bank owned. For more information about any of these homes, or if you would like a showing, please contact us via email, or by phone at (949) 888-6788. Read more about Coto de Caza Equestrian Homes. One of the great advantages for horse owners or horse enthusiasts is the Coto Valley Equestrian Center, one of Orange County's Premier Equestrian Facilities that offers training for begginner to advanced riders or just a place to enjoy a relaxing trail ride!